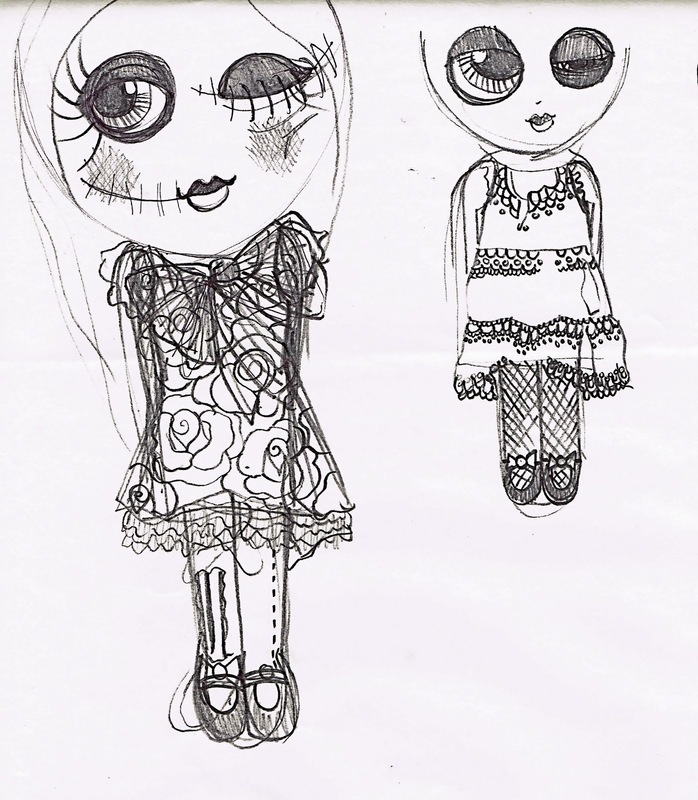 Been doodling some zombie party dolls, nice frocks in a little state of disrepair. 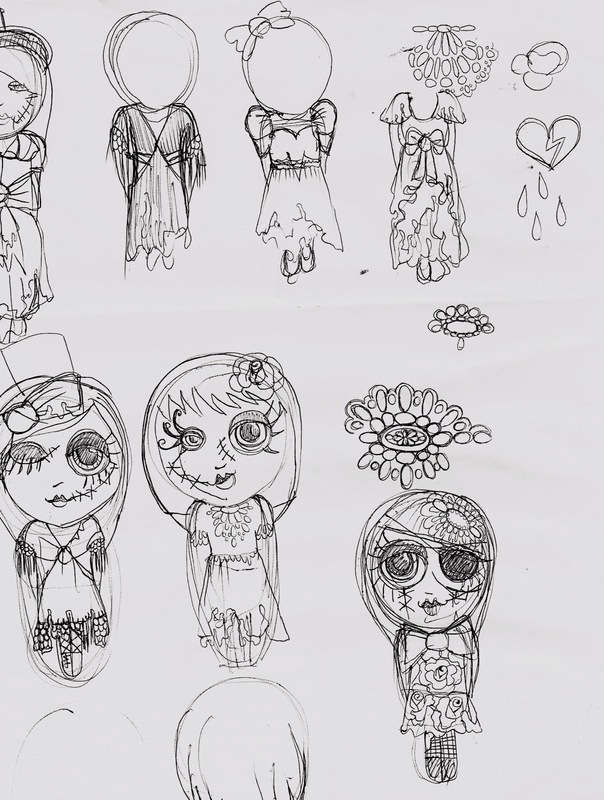 I went through my selection of saved fab frock photos from the web, to find the sort of dress any self respecting zombie party girl would be happy to wear. I feel a little limited on my repertoire of zombie style facial scars etc.